On the weather map we were at the edge of rain clouds yesterday afternoon. We ventured north for our Sunday walk undeterred, not sure where we would end up. 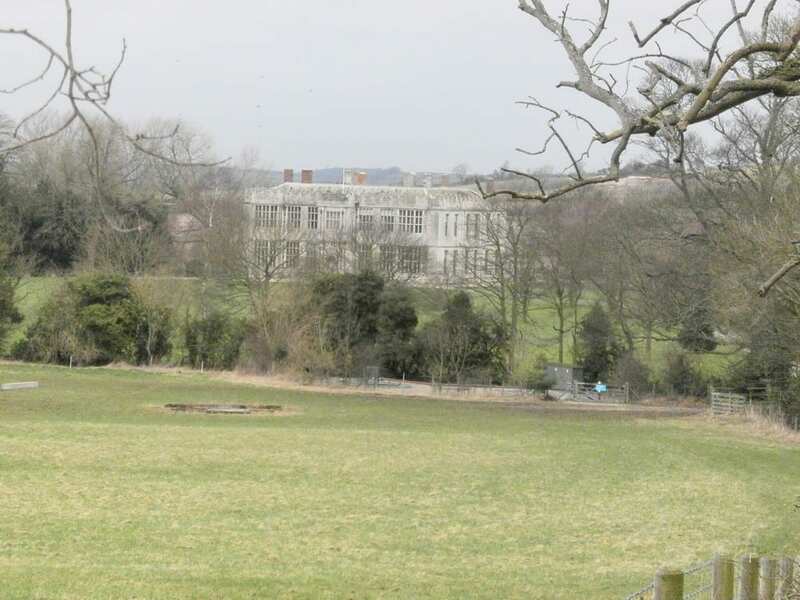 I remembered that over a decade ago, perhaps more, we went to Howsham Hall. Every Christmas we always invited a friend my mother had made at the lectures I gave for Nottingham’s Department of Adult Education, as it was known then. Mary Nevin’s only sister, like her, had never married. She started coming to my lecture when she was living alone in the large Victorian house she had inherited after her parents and sister had died. On Boxing Day we would venture forth to see some new part of the winter landscape in the Yorkshire Wolds or Moors. That was how we happened upon Howsham Hall. It was a fitfully snowy Christmas that year. 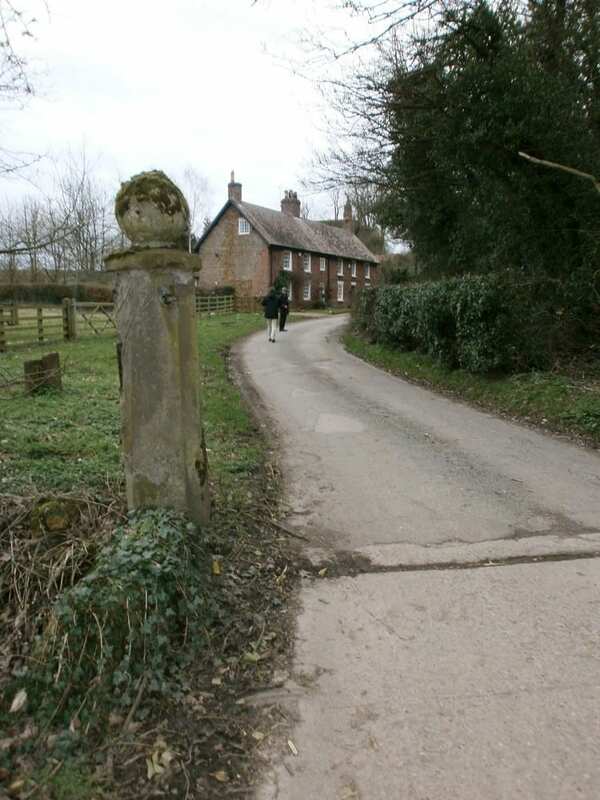 We wrapped up, shod in strong walking shoes, and drove over a sturdy 18th-century bridge to stop in front of stone gateposts and to a boarding school. In the distance was what looked like a Jacobean mansion. The school would be closed on Boxing Day, so why not indulge in what I call ‘creative trespassing’? We drove up the drive to stop in front of a stone building with huge casement windows and wide front door dusted with snow – all closed. The place was deserted. There was a stillness that chilled you. Later the school closed and the 1610 building was sold and turned into a private home. 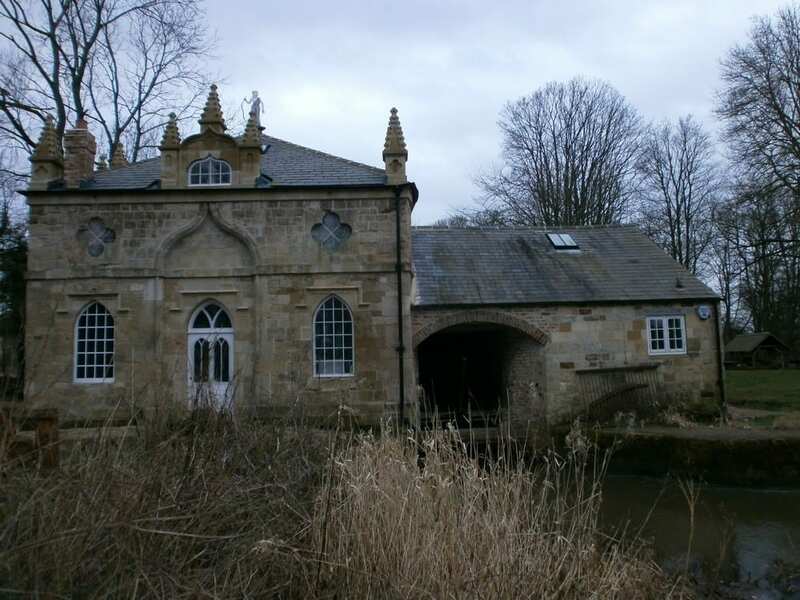 Seventy-five years before the building was started in 1610, the nearby Kirkham Priory was closed and the few monks that remained were dispersed into surrounding parishes. Over the years the Priory fell into ruin, helped by local builders who plundered the stones. Now the Jacobean mansion lay out of sight behind an high gate of wooden planks. So we went to Howsham Mill instead. Derwent. It was misty. We passed a man pushing a wheelbarrow piled high with branches. ‘It’s past four,’ he said. ‘Closed, but you can walk round the outside.’ It was all as if out of a Thomas Hardy novel. This gem of a building was built for a double purpose by the 18th-century lords of the manor: practical, to grind the wheat, and aesthetic, as an eyecatcher in the Capability landscape. We could just spy the hall across many meadows and could almost feel eyes enjoying the landscape and pausing on the ‘folly’, not hearing the roar of water down the mill race and the stones grinding. The landscape design led to the cottages one side of the main village street being demolished not to spoil the view. The mill was in use until post WWII, and then the roof fell in and it was abandoned. Only a few years ago a Trust was formed and with the help of the Heritage Lottery Fund, it has been magnificently restored. Come summer, we’ll return to this fairytale place.